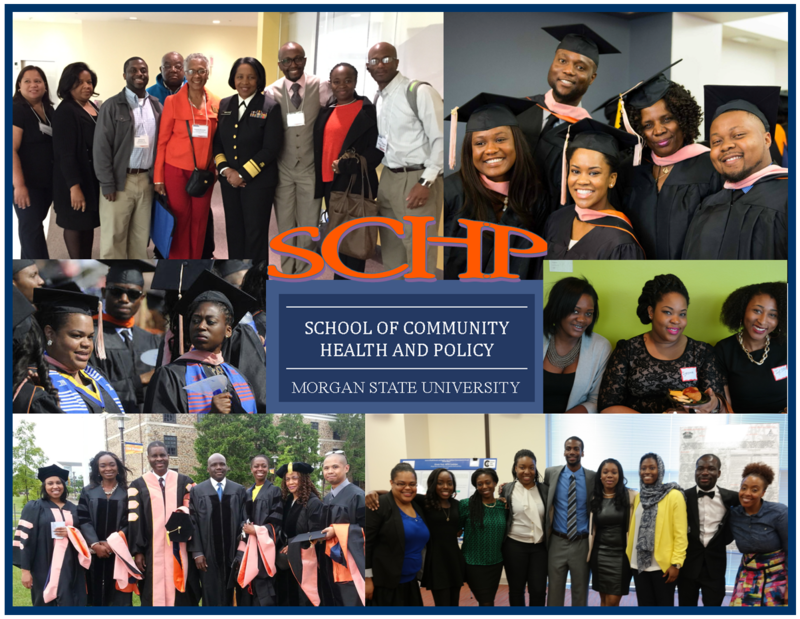 The Public Health Program within the School of Community Health and Policy (SCHP PHP) at Morgan State University was launched in 1999 and offers several Master of Public Health and the Doctor of Public Health degrees. SCHP continues to produce a diverse cohort of trained public health professionals each year. The program’s mission is to prepare leaders who will generate new scientific information designed to better understand and solve urban health problems, and who will develop and advocate policies to achieve optimal public health with emphasis on urban, minority and underserved populations. The vision of the program is to lead the way to optimal health by empowering people and communities through research, service and practice. The social determinants of health framework is supported by five guiding principles—academic excellence, social justice/health equity, community engagement, collaboration and experiential learning.